1. What is “Rake” in Poker? In Poker, the Rake is the house fee that is charged to the game on a per hand basis. Usually, this fee is taken directly out of the pot as the bets are collected and grouped into it, after each round of betting. Beside the regular Rake that is taken out of the pot, there might be an additional % of Rake that is taken to feed a jackpot that you can play for. Standard Rakes are usually a small percentage of the amount in the pot, capped at a certain fixed dollar limit. A typical Rake structure found at most small limit games is 5% of the pot, capped at $3. There is typically no Rake taken at all for pots below a very small amount. The Rake % varies from site to site. 1.2. Why do you have to pay “Rake”? The Rake is the only way that the house (host casino) earns money directly on Poker. The house is not wagering on the outcome of the game, so it has no vested interest in any particular result. Plus, it does not have the “house advantage” that it typically has in other forms of gambling (e.g. Blackjack, where you bet against the house/dealer, but they have a statistical advantage). Therefore, the use of Rake is primarily revenue that is going to the casino. 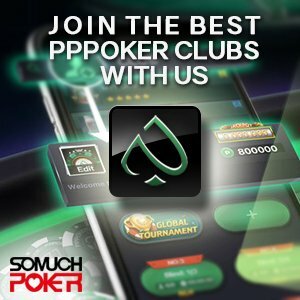 A part of it is used to maintain and develop the poker software you are using, and another % will be reinvested in marketing, attracting new players to make deposits. In cash games the Rake is considered to be taken off of any single pot, whereas in tournaments you pay the Rake in advance. The Rake is included in your buy-in. For example: You buy-in for a $11 Tournament, so the buy-in is displayed as $11+1. That means the stake is $11 and the Rake $1, which is slightly below a charge of 10%. Cap defines the maximum $Rake that is being deducted from the Pot. Most of sites grant that as long as no flop was dealt out, no Rake is taken out of the pot. 2. How does the Rake affect your winrate? It can generally be said that the Rake on micro-stakes is the highest. The higher stakes you are playing, the less relevant the Rake becomes. Through Rake Caps, the relative Rake in % is lower, the higher stakes you are playing. Although the Rake in % is a little lower on the first two micro-stakes of PokerStars, the % in Rake is not what really matters. Whether a site charges 4.5% like PokerStars does or 5% like PartyPoker, it’s not a big deal what really matters is the Rake Cap. The effect is drastic between a Rake Cap of $2 and Rake Cap of $3. At first sight it seems only to be $1, but multiplied by the pots you’ve played where you reached the Rake Cap, you can see it will result in severe numerical differences. To determine how often we’ll reach the Rake Cap and pay the maximum Rake, it is necessary to know what the average pot size is. Is the average pot size below the Rake Cap, you’ll be confronted with the Rake Cap less often. On higher limits, you’ll reach the Rake Cap more frequently, while on micro limits the opposite is the case. Both players go all-in and play out a pot of 200B = $20. 0.90cts is being taken off the pot as Rake. The relative Rake you paid in this scenario: 4,5%. You are sitting down at a NL600 ($3/$6) 6 max table with a Rake of 4.5% and a Cap of $2.8. Both players go all-in and play out a pot of 200B = $1200. 4.5% of $1200 would be $54 in Rake but Rake Cap for 5+ Players is $2.80, so you only pay $2.80 instead of $54. The relative Rake you paid in this scenario: 0.23%. Conclusion: The differences between Rake on the micro-stakes and Rake on mid-to-high-stakes are tremendous. Consider that in equal scenarios, you pay almost 20 times more Rake on NL$10 than you do on NL$600. PLO is definitely the game where the most Rake is being scooped up into the dealer’s hand. The reason is that, with two more cards in your hand, your Equity is frequently decent enough to continue and to put more money into the Pot. Therefore, the action game PLO sacrifices the most Rake. Rake in % in Fixed Limit on PokerStars is a little lower from $1/$2+, compared to the Rake conditions in No-Limit. But in Fixed Limit, you have more Raked pots per 100 Hands since your odds are way more lucrative and the money goes in more easily than in No-Limit. In No-Limit, a certain amount of pots played end after an open raise preflop. Nevertheless, in No-Limit games, if the action is escalating and two big hands are facing each other, you definitely reach the Rake Cap and pay the maximum. The effect of having less but bigger pots in No-Limit Hold’em outweighs the effect that you have more Raked pots in Fixed Limit. So in No-Limit, the Rake is a little higher. Expenses increase as there is a common habit to tip the dealer. Tipping the dealer is quite common and a matter of a good etiquette. Sometimes, it can be less or more mandatory or of your free choice, what you think, according to their work, he or she deserves to be given. 1-2% deduction from your winnings is quite a common tip. Expenses increase further still since in live poker games you don’t receive anything in return for the Rake you’ve paid. In Online Poker, you do get Rakeback, which lowers your overall Rake. The most significant differences from online to live poker Rake: the Rake Caps. Rake Caps in live poker games are way higher. For example: In the Wynn Casino in Macau, the Rake Cap is 200HKD, which equals $25. On higher stakes like 50/100 HKD (NL $50/$100), in the Venetian Casino in Macau, the Rake Cap reaches the staggering mark of 500HKD, which equals $65. In live tournaments, there is such thing as a dealer add-on or staff charge. This is an additional entry fee on top of the buy-in or a small % of your winnings that is forwarded as a tip for the dealers.